The Foundation for Financial Planning and Financial Planning magazine Pro Bono Awards recognize the community service work of advisers who have contributed their time and talents to helping those in need take control of their financial lives. The Pro Bono Planner of the Year award is presented to an adviser in recognition of their significant pro bono contributions to a nonprofit or social service organization. The winner’s charity will receive a $5,000 grant, provided by the Foundation and will be announced alongside two runner-ups in the August issue of Financial Planning and online at financial-planning.com and FoundationForFinancialPlanning.org. For more information and to access the online nomination form, click here. 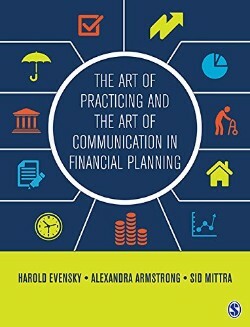 The Art of Practicing and the Art of Communication in Financial Planning is a rare collection of 80 essays on what constitutes the art of practicing financial planning and the art of communication in financial planning. The contributors represent the best brains and leaders in the financial planning profession, including some close friends and trustees of the Foundation for Financial Planning. FFP is grateful to editors Harold Evensky, Alexandra Armstrong, and Sid Mittra for donating proceeds of the book to support pro bono financial planning. Please click here for more information and to purchase the e-book! The Foundation for Financial Planning was proud to participate in FPA Retreat this year, where we heard from key leaders about their support of pro bono financial planning. Thank you to the FPA members who took the time to share with us why pro bono is important to them. We look forward to sharing these powerful stories and testimonials soon! Thank you to FPA of the National Capital Area! Thank you to FPA NCA for another successful Charity Golf Classic, benefiting the Foundation for Financial Planning and FPA NCA Pro Bono efforts!